Yup, found another one. Admittedly I actually googled this one, unlike the other 2 that I found by happenstance. 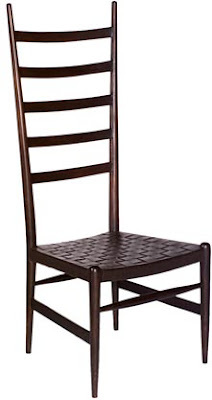 This gigi chair has a high back and looks more like a dining chair. It reminds me a little bit of the Charles Rennie Mackintosh chairs that we sat on while having tea in Glasgow.